Welcome to February's The Month Ahead. It's a busy time with St. Valentine's Day and Shrove Tuesday both falling in February this year. Let's have a look at some of the traditional feasts and festivals, events and exhibitions that are happening around the UK this month. Throughout February – Now in its second year the National Gardens Scheme (NGS) are having a Snowdrop Festival. Over 80 gardens across the country will be taking part. Enjoy carpets of the tiny flowers. You'll be surprised just how many varieties there are. Throughout February - Brick Wonders, Harley Gallery, near Worksop, Nottinghamshire. After the success of Brick City in 2015 master builder Warren Elsmore is back with his latest exhibition with his unique creations of the Seven Wonders of the World in Lego form. Free entry. Until 1st March - Jane Austen Rain Jane Trail, Winchester, Hampshire. To celebrate the 200th anniversary of Jane Austen's birth Winchester is embracing the rain with a trail that can only be seen when it is wet. Across the city there are 12 quotes in 39 locations visable only when it is wet. February Half Term - Puddle Jumping Championships, Wetland Centres across the country. Grab your wellies and prepare for a big splash to embrace Great British weather! 4th to 5th February - Whitby Steampunk Weekend, North Yorkshire. The first of what is hoped Steampunk Weekends in Whitby with free entry. There's also free parking for Charabancs, Airships, Balloons and Penny Farthings! 6th February – St Ives Feast and Hurling the Silver Ball, St. Ives, Cornwall. On the first Monday after 3rd February the Cornish patron saint of St. Ives, St. Ia, is celebrated with a special procession. This is followed by Hurling the Silver Ball which involves the silver ball being thrown around the town. The winner is whoever can return it to the mayor of the steps of St. Ives Guildhall on the stroke of midday. 10th to 19th February - Pitlochry Winter Words Festival, Perthshire. Take your pick from readings, talks, workshops and performances all set in the beautiful surroundings of 'Scotland's Theatre in the Hills'. 15th to 26th February - Glasgow Film Festival. A huge cinematic delight for all film buffs. The festival will include more than 60 UK and world premieres. This includes the the world premiere of 'Mad To Be Normal' starring David Tennant who will be in attendance. 16th to 25th February - Purbeck Literary Festival, Swanage and Purbeck, Dorset. For the 4th year of the Festival the theme is Wild. There will be talks, craft sessions, readings and walks for all ages. 18 to 19th February – Coastival, Scarborough, North Yorkshire. The town's annual arts festival has a theme of 'Expect the Unexpected' for this year. Planned events include music, performances, films, workshops, art exhibitions and installations plus a beach clean. Until 25th February – Makers' Month, The Forum, Norwich, Norfolk. 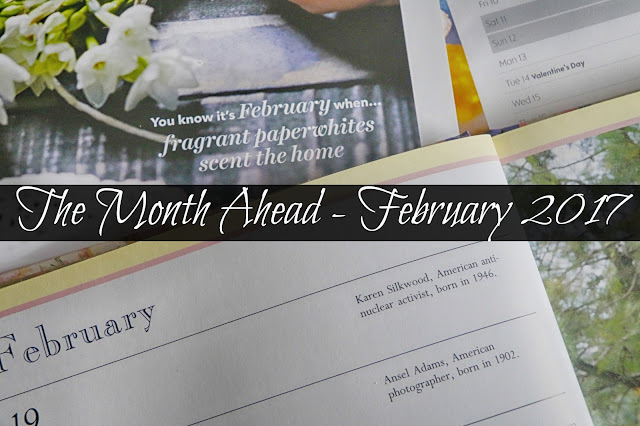 Get hands on with a month full of crafting activities. There's special free events and workshops planned for half-time as well. From 27th February - Fairtrade Fortnight 2017, across the country. Join in with the planned events or hosted your own Fairtrade get together to support Fairtrade producers around the world. 28th February and 1st March - Royal Shrovetide Football, Ashbourne, Derbyshire. Thought to have begun in Elizabethan times this annual contest takes over the town of Ashbourne. The goals are three miles apart and each session lasts eight hours! The two teams are named the Up'ards and Down'ards. 28th February – Pancake races, across the country. If you prefer pancake flipping to football then check out one of the organised pancake races happening on Shrove Tuesday. There's a couple in London including the famous Parliamentary Pancake Race which pits MPs and members of the Lords against the press.